There is always this special feeling that I experience when I head out the door to film a Greek wedding. One thing is certain I am Greek. I was born and raised in Greece so I understand the Greek wedding traditions and customs. We cover the groom and bride's preparations including all the unique symbolic rituals that pertain to the Religious Ceremony and the the Celebration that is so unique to a Greek wedding. 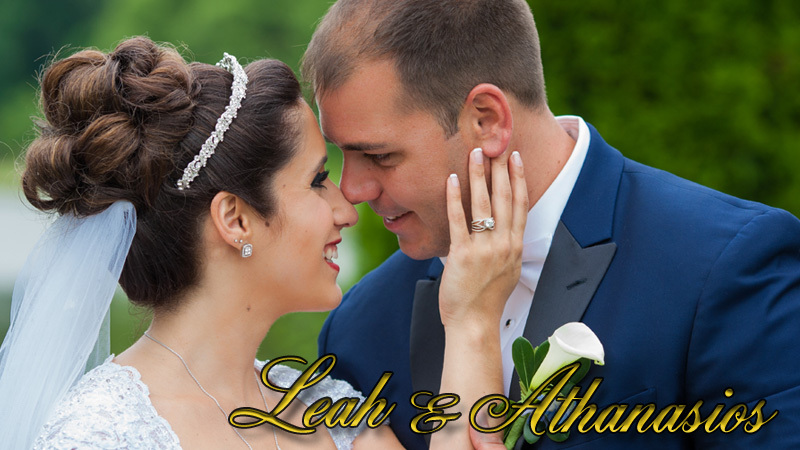 This Greek Wedding Video was filmed this summer on July 3rd at the Holy Trinity Greek Orthodox Cathedral in Harrisburg PA and then the wedding party proceeded to take some fun pictures at the Italian Lake. The reception was at the Orchards Restaurant in Chambersburg PA where guest were danced to the beat of a Greek orchistra playing Greek music including the traditional Kalamatianos, Tsamiko and Zeibekiko dances. The highlight of the evening was a surprise fireworks that was organized by the groom. Enjoy this beautiful Greek Wedding Video. Holy Trinity Greek Orthodox Cathedral.